It’s no secret, that we as a country (UK) face uncertain times with Brexit. With the Tories leading negotiations and the public being kept in the dark over negotiations we face an uncertain future. Brexit has divided our country. Brexit has become more about culture than about politics. There are those of us like myself, who want a Multicultural country. I am proud we have come so far to become a Multicultural country. But there are also those, on the other side of the debate, who don’t want Equality or a Multicultural country. 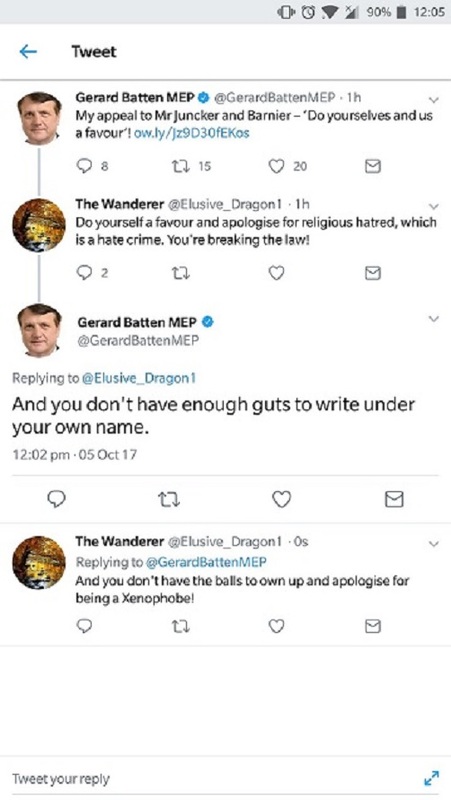 On Twitter, I engaged in Conversation with London MEP Gerard Batten. He tweeted – “Sorry if this causes offence to anyone, but I’m not going to sugar coat. 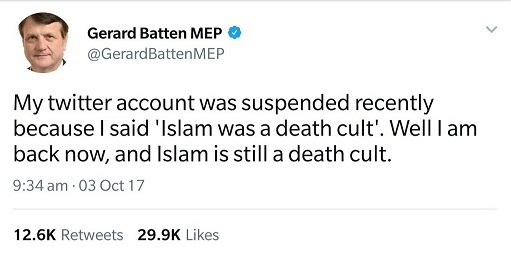 “Islam is a death cult.” His account was suspended as a result. But after the suspension ended, he tweeted the same thing again. I warned him this hate could bring his political career down, seeing as he’s posting Xenophobia and inciting religious hatred about Muslims. He responded with “Thanks for the laugh. Get lost.” Now, for someone who’s elected to Parliament and is supposed to be representing Britain in European Parliament that doesn’t put him in a very good light. 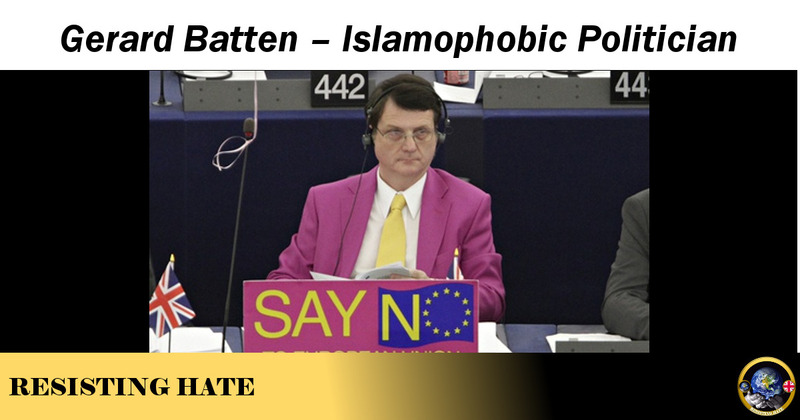 As a Politician Batten is supposed to liaise with all members of the public, without prejudice or discrimination. 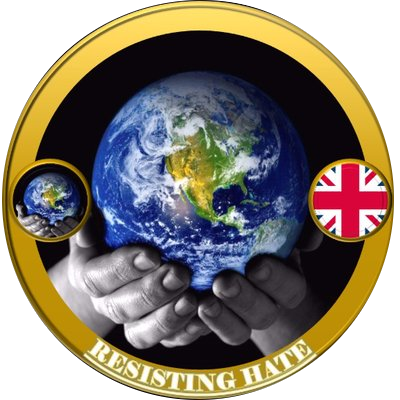 It leads me to question whether politicians like Batten are really in the job to create a better world and a fairer world or whether are they just pursuing their own self interests and personal gain. 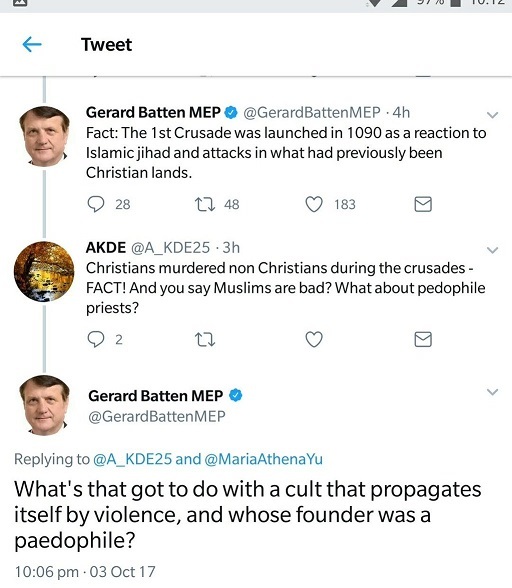 Are people like Batten really in politics to create a better future for those who want a future for their children and grandchildren? Because it seems to me, he’s just in the job for himself and to further his own personal Islamophobic agenda. He is a similar one policy politician to Nigel Farage who was only in politics to secure a Leave vote in the Brexit referendum. Once the result was official, Farage good as jumped ship. Like Gerard Batten, he was only in politics for himself. And it makes me wonder what kind of democratic country we are, when we allow politicians like Gerard to speak like they do to members of the public. If Henry Bolton meant what he said in his victory speech about bringing respectability and unity back to UKIP then let us hope this means Gerard Batten’s political career will come to an end very soon.